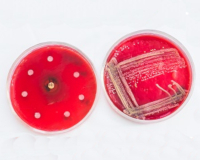 The LGC Clinical Microbiology Laboratory (CLS) scheme is for laboratories performing microbiological analysis of clinical samples and provides an independent assessment of measurement quality. The CLS scheme also provides information to participants on technical issues and methodologies relating to Clinical Microbiology. Test materials mimic clinical specimens in a wide array of samples that are included in the CLS scheme, from the Bacteriology, Mycobacteriology, Mycology, Parasitology, Virology and Molecular Multiplex disciplines. Focusing on the detection, characterisation and quantification of bacteria, viruses, fungi and parasites microbes, the CLS scheme ensures that laboratories are able to diagnose, treat and prevent infectious diseases. The operation of our CLS scheme is supported by an Advisory Group.